It could be a costly mistake to leave your pet unneutered, there are already thousands of unwanted animals in RSPCA and other charity-run animal centres throughout the UK. 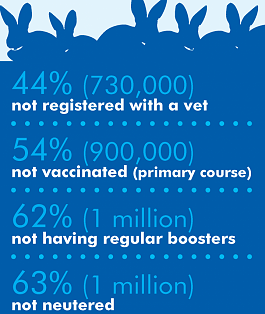 Below are some of the reasons why it is important to have them neutered and how the branch could help. Unneutered pets are more likely to roam and to get lost, injured or have an accident. Contact your veterinary surgeon to arrange an appointment. You will probably have to take your pet to the surgery early in the morning and collect him/her at the end of that day. It’s a routine operation and most animals are back on their feet again straight away. Female cats – can get pregnant from only 4 months old, when they are still kittens themselves. They can have 3 litters a year, giving birth up to 18 kittens in that time. It isn’t true that it is good for a cat to have a litter before she is spayed. Protect your cat and get her spayed. Male cats – will spray their territory with smelly urine, are often noisy at night for hours on end and more likely to stray from home , sometimes for days at a time or get into fights. If your unneutered male gets into a fight he could get infected wounds, abscesses or serious illnesses including FIV which is incurable; a cat with FIV would need to be kept in for the rest of their life to stop the disease spreading or put to sleep. (FIV in cats is the same as HIV in people). Female dogs – can come into season/heat from 6 months old and up to twice a year for 3 weeks, giving birth to 6 or more puppies each time. As well as cleaning up after her, you will need to protect her from the attention of local dogs often bigger than her. The health risks are phantom pregnancies, pyometra (infection of the womb which can prove fatal) and mammary tumours when she gets older. Male dogs – can become frustrated leading to changes in behaviour, bad tempered, barking, difficult to handle, violent urges or even aggression; unneutered males can become injured from fighting with other dogs and require expensive veterinary treatment. Older unneutered dogs can be at a higher risk of testicular and prostrate cancer. Proof of benefit:- You will be asked to provide an award letter from your local DWP or similar documentation when applying. (Current Post office/Bank Statements showing receipt of benefit and are dated within the current year are acceptable). 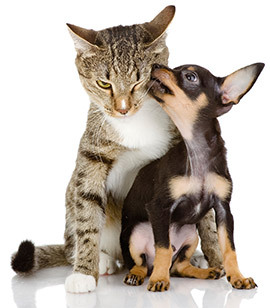 The branch is here to help pets owners whose pet(s) may need neutering but they are financially unable to pay for the treatment at that time the owner will be asked to pay towards the costs of the vets fees and provide proof of their benefits. All situations are individual and as such will be dealt with on an individual basis, we are here to help, please ask if you live within our branch catchment area of Sunderland, Hartlepool & South Tyneside.